Your Anime Eyes Are Freaking Out Japan. Stop It. Back in 2009, Lady Gaga's eyes got huge in her "Bad Romance" video. 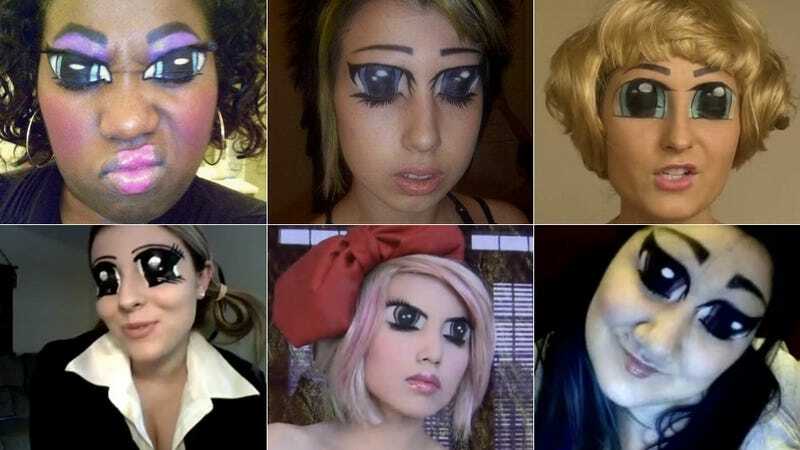 That, along with a Hello Kitty photo shoot, helped spawn a series of YouTube videos on anime eyes make-up tips. That doesn't mean bigger eyes haven't caught on in the West to a certain extent. Lady Gaga has fueled that fire, and, more recently, Nicki Minaj has fanned those flames. In the meantime, knock off the anime eyes, internet people! You are totally freaking out Japan.